This table has an oak plank top with one drawer and is supported by bobbin turned legs and stretchers. This table will comfortably seat six and at a push, eight people. When purchased the top was a very dull colour so this has been re-polished. This table is in good, original condition and can go straight into a home. 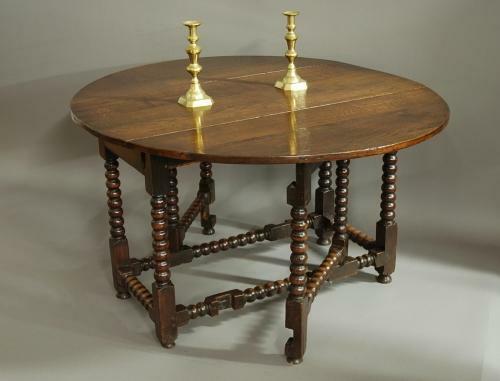 Please note the candlesticks and set of chairs are not included in the price - please contact me for further details.